Another day has come to a completion at the 2017 World Series of Poker (WSOP) with David Bach being crowned the Event #30: $10,000 H.O.R.S.E. 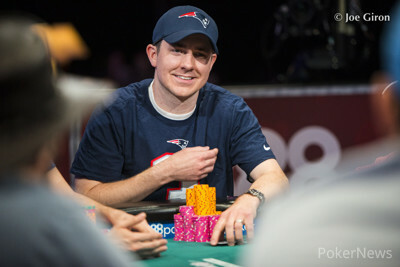 Championship winner and recipient of the $383,208 first prize and his third career WSOP gold bracelet. The final day of Event #30 began with just 15 players remaining from the original 150 that took a seat on Thursday afternoon. Many seasoned poker veterans and savvy young guns had come and gone over the course of the first two days, and with a winner in sight, this tournament was truly one to watch. The spotlight was cast on two-time WSOP Player of the Year and six-time WSOP bracelet winner Daniel Negreanu who began the day as chip leader. Negreanu had already notched a second-place and third-place finish at WSOP events this series, and would have his eyes squarely set on eclipsing both of those results. 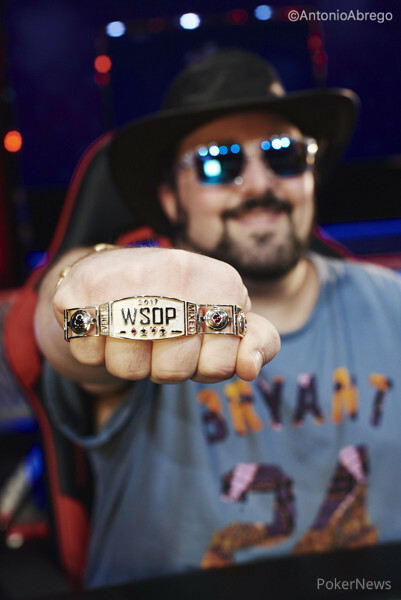 The other major story line was Jason Mercier, who was looking to join the likes of Layne Flack and Tuan Le in going back-to-back in defending their WSOP gold. Once cards were in the air today, Phillip Wallace was the first casualty, and he soon would be followed by Mark Gregorich. Mack Lee, Scott Bohlman, and Brian Rast all were eliminated to leave a final ten before Richard Chase's tournament would finish in 10th when Bach rivered a flush to send nine players to the main stage at the unofficial final table. Leading those final nine players would still be Negreanu who rode somewhat of a roller coaster during the first few levels of play as Don Zewin and Mercier were the only two other players in the seven-figure club. 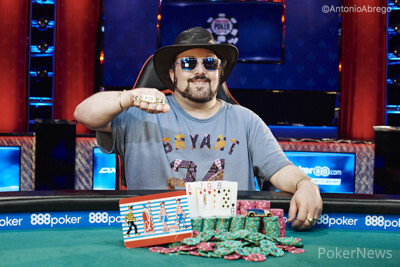 Following a couple of doubles, Anthony Zinno's tournament would end just one short of another WSOP final table when he was all in with split jacks in stud against the split aces of Eric Rodawig who would carry the official chip lead into the final table. Once play resumed after a short break, Jerry Wong would exit in 8th place after he was crippled by Zewin's aces in the hand previously. Yuebin Guo would then be eliminated in 7th place running his into Andrew Brown's in hold'em. Play then slowed down as chips made their way round the table before Rodawig would still hold the chip lead at dinner break over Mercier, while Negreanu and Bach held the two shortest stacks. Once play resumed, the chip lead was held by a rotation of players, but unfortunately one of them wouldn't be Negreanu. The overnight chip leader managed to double but he was then eliminated in 6th place by Rodawig during the Omaha hi-lo orbit. The next big name to go was Mercier who grinded the short stack for a multitude of game changes finding double ups here and there. However in a hand of razz, he would be forced all in and would be unable to better Brown's eight-seven low. Now down to the final four, Brown would hold half the chips in play, but after multiple battles with Rodawig, those two would switch places in the chip counts as Rodawig surged ahead to hold more then half the chips in play also. Unfortunately for Brown who was looking to collect his second career WSOP bracelet, his run would end in 4th place when he missed a monster Omaha hi-lo hand against Bach. With Brown on the rail, Bach would now hold nearly half the chips in play. Several orbits later, Zewin would be eliminated in 3rd place - following a 3rd place in this very event back in 2015 - when Rodawig rivered a straight to hold a slight lead entering heads up play. Rodawig would be eyeing his second career WSOP bracelet, and he had a rail that featured Matthew Ashton, Brandon Shack-Harris, and Chris George all cheering him on. For Bach, he would be aiming for bracelet number three, and also his second within the past ten days after winning Event #11: $1,500 Dealers Choice for $119,399. Once heads-up play began, it would be Bach in control winning pot-after-pot. Bach was on cruise control as he won nearly every relative hand between the two. His slight chip disadvantage turned into a lead, and then into a two-to-one lead before the final hand begin with him holding a commanding nine-to-one chip lead over Rodawig. During the Omaha hi-lo orbit, Rodawig committed his final chips holding on a flop against Bach's . No club or nine would come for Rodawig, and Bach would be crowned the Event #30 Champion! "I'm running well and I fell like I'm playing well," said David Bach while being interviewed after his win. "I pride myself on being able to play with anybody!" he added. For Bach, not only is this is his second bracelet of the series and third overall, but it also the second in this H.O.R.S.E. discipline after he won the 2008 $50,000 H.O.R.S.E. World Championship for $1,276,806 before it became known as the Poker Players Championship. Following this win, Bach's career lifetime winnings now eclipse $4 million, and with the way he is running and playing this WSOP, he has a strong chance to add to that while also be a strong candidate at chasing Player of the Year honors. Congratulations to David Bach for winning the Event #30: $10,000 H.O.R.S.E. Championship for $383,208 and collecting his third career WSOP bracelet and second of the 2017 World Series of Poker! Eric Rodawig Eliminated in 2nd Place ($236,841); David Bach Wins! David Bach raised his button to 300,000 and Eric Rodawig called in the big blind. The flop landed and Rodawig bet out 150,000. Bach raised to 395,000 and Rodawig pushed in his final 395,000 total with Bach calling. With Rodawig at-risk and trailing, he would need a club or a nine to take the lead. The dealer delivered the on the turn, and when the completed the board on the river, Rodawig collected $236,841 for his second place finish. Eric Rodawig raised his button to 300,000 and David Bach called to see a flop. Bach checked, Rodawig bet 150,000 and Bach raised to 300,000. Rodawig folded and dropped to 700,000 while Bach moved up to 6.8 million in chips. Eric Rodawig raised to 240,000 on the button and David Bach called from the big. The flop landed and Bach checked to Rodawig who bet 120,000. Bach called and both players checked the on the turn as the completed the board on the river. Bach led for 240,000 and Rodawig called. Bach tabled his for a full house and Rodawig mucked. From the button, Eric Rodawig raised to 240,000 and David Bach called in the big blind. The flop landed and Bach checked to Rodawig who bet 120,000. Bach check-raised to 240,000 and Rodawig called as the turn landed the . Bach bet 240,000 and Rodawig called as the river landed the . Bach bet 240,000 and Rodawig called. Bach tabled his for two pair and Rodawig mucked. From the button, David Bach raised to 240,000 and Eric Rodawig called. The flop landed and Rodawig checked to Bach who bet 120,000. Rodawig called, and then checked the on the turn. Bach bet out 240,000 and Rodawig called as the landed on the river. Rodawig checked, Bach bet 240,000, and Rodawig folded. David Bach had the bring-in and Eric Rodawig completed to 120,000. Bach called, and on fourth street, Rodawig bet 120,000 and Bach called. Once fifth street arrived, Rodawig checked and Bach bet out 240,000, forcing a fold from Rodawig. Eric Rodawig had the bring-in and David Bach completed to 120,000. Rodawig called and then let out for 120,000 on fourth street with Bach folding.